A retired NYPD lieutenant, two retired NYPD officers and a former Brooklyn assistant district attorney were arrested early Tuesday by FBI agents in an alleged scam by which police employees expedited gun permit requests in exchange for paid vacations, jewelry, catered parties, cash and strippers. Lori Bordonaro reports. A retired NYPD lieutenant, two retired NYPD officers and a former Brooklyn assistant district attorney were arrested early Tuesday by FBI agents in an alleged scam by which police employees expedited gun permit requests in exchange for paid vacations, jewelry, catered parties, cash and strippers. The federal charges include bribery, extortion, making false statements and conspiracy, court papers say. The four men were arrested at their respective residences in Manhattan and Long Island, law enforcement sources said. According to court papers, the trading of gun licenses for bribes stretched from at least 2010 to 2016. Authorities allege members of the NYPD License Division solicited and accepted bribes from individuals who charged customers thousands of dollars in fees to secure gun licenses. 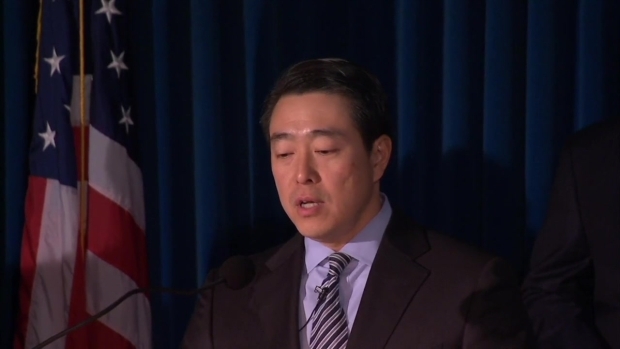 Acting U.S. Attorney for the Southern District of New York Joon Kim said bribes resulted in licenses awarded to individuals with substantial criminal histories, including convictions for crimes involving weapons or violence. Authorities allege members of the NYPD License Division solicited and accepted bribes from individuals who charged customers fees to secure gun licenses. "They sold their duty to do their jobs," Kim said. "They allegedly got more audacious as time went on." 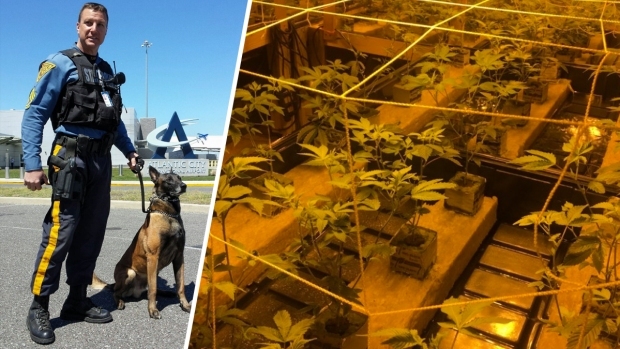 Among those arrested Tuesday was 44-year-old Paul Dean, a police lieutenant and the second-highest ranking member of the NYPD's License Division at the time he retired in January 2016. He supervised about 40 uniformed police employees and had ultimate authority to approve or reject licenses and upgrade requests, authorities said. A criminal complaint filed in Manhattan federal court alleges Dean sought and obtained free restaurant meals, liquor, car repairs and entertainment, including trips to strip clubs. A criminal complaint filed in Manhattan federal court said Dean sought and obtained from gun license applicants free restaurant meals, free liquor, free car repairs and free entertainment, including trips to strip clubs. In separate court papers filed in federal court in Manhattan, two others, including former NYPD Sgt. David Villanueva, who was assigned to the department's licensing division, and a man named Frank Soohoo, are charged with bribery, also in connection with the issuance of gun licenses by the NYPD. According to court papers, John Chambers, a Brooklyn assistant district attorney in the 1980s and state-licensed lawyer who in his private legal work marketed himself as the "Top Firearms Licensing Attorney in NY," allegedly gave Villanueva tickets to Broadway shows and sporting events, an $8,000 watch and cash hidden in magazines in exchange for expediting gun license applications for Chambers' clients. Chambers' attorney, Barry Slotnick, said his 62-year-old client would plead not guilty to the charges. "He's an excellent lawyer," Slotnick said. "We do believe that he has not done anything inappropriate or wrong." Soohoo, who allegedly helped expedite the gun license process for paying clients, is accused of giving NYPD officers in the licensing division and their spouses vacations to the Bahamas, Mexico, Hawaii and the Dominican Republic. He also allegedly gave licensing division personnel expensive booze, meals and strippers. Villanueva and Soohoo, 55, pleaded guilty to various charges in connection with the case, including conspiracy to commit bribery and making false statements, and are cooperating with the government, prosecutors said. The charges are part of an ongoing probe that led to a shake-up of the NYPD's licensing division last year. In a statement, NYPD Commissioner James O'Neill said the department's Internal Affairs Bureau has conducted a "thorough and comprehensive coordination" with the FBI over the last three years. "The behavior, as alleged in today’s charging documents, is intolerable," O'Neill said in a statement. "The charges reflect a serious violation of the oath these officers swore to uphold, eroding the trust the public has in this Department. The NYPD will continue to investigate alleged wrongdoing and root out corruption wherever it might be found." O'Neill said over 100 gun licenses have been revoked as the department reviews over 400 license applications to ensure they were properly processed. Also arrested Tuesday: retired 47-year-old officer Robert Espinel, who worked in the licensing bureau from 2011 through 2016, and 58-year-old former NYPD detective Gaetano Valastro, who retired in 1999 and ran a gun store. Attorney information for Dean, Espinel and Valastro wasn't immediately available. Valastro was released on $50,000 bond, and the others were released on $100,000 bond.